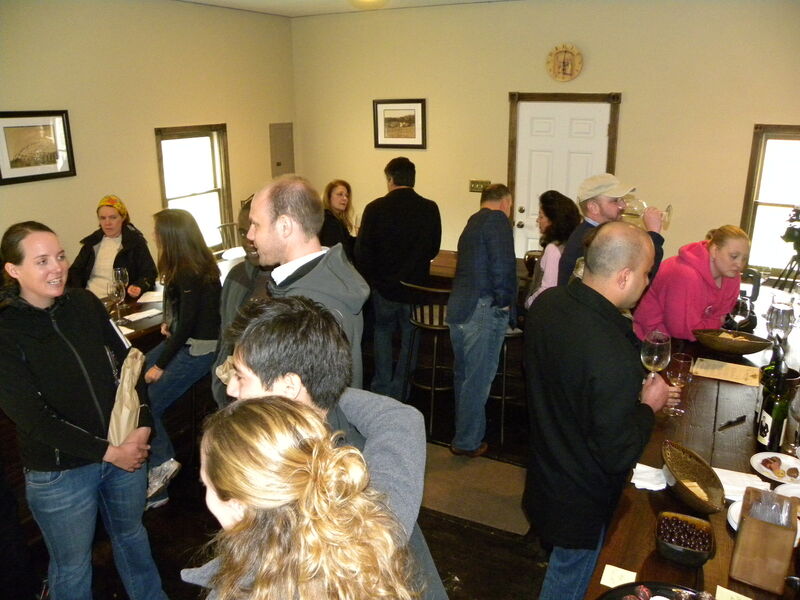 This has already been a busy year for Linganore Wine Cellars. First, in February they retro-fitted the winery so that 100% of the electricity used at the winery will be generated from wind power. Then last week they were awarded the “Green Business of the Year” Award in the small to midsize business category, from the Baltimore Business Journal. Obviously the wind power contributed to receiving this award, but so did their practice of recycling, using fruit pulp for deer feed and vineyard compost, and the use of organics for fertilizers in the vineyard. Congratulations. And finally, the winery is gearing up for festival season. On Mother's Day, May 8th, they release their traditional wine of spring, May Wine. This wine is flavored with the herb Sweet Woodruff from the Black Forest region of Germany. That day also includes music from Rob Thorworth. Later in May, Linganore hosts their annual Carribean Festival, followed by the Beach Party, and two Reggae festivals. I guess no Blues Festival this year. Joseph Schumpeter‎ referred to it as "Creative Destruction" - the fact that even in growing economic conditions, companies cease operating - for many reasons. Sometimes companies make unsound business decisions. In others, the owners simply retire. 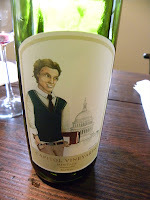 And although the number of Virginia wineries is growing from year to year, a couple wineries will be closing in 2011. And this doesn't include Sweely Winery Estate and Kluge Estate Winery, who's futures are uncertain because of foreclosure proceedings. Sure Trump purchased Kluge, but there is no telling if the winery will resurface. A few years back, the very first Virginia winery we ever visited, Oakencroft, closed as the owners retired. This year, MistyRay Winery (Harrisonburg) and White Fences Vineyard & Winery (Irvington), are closing for similar reasons. MistyRay will close on June 30thso that Phil can dedicate more time for golfing. At White Fences, Bill & Susan Westbrook are closing as soon as the entire inventory is liquidated. No more Meteor. So here's your last chance to grab these wines and we wish the owners a long & healthy retirement. There will also be plenty of music and live food demonstrations. Music will be provided by The School of Rock,Junkyard Saints, The Jack Diamond - Jim Steed Band, & The Broadcast on Saturday and The School of Rock (again), 8 Ohms Band, & Bull City Syndicate on Sunday. Need culinary help? Come see Chef Bo Palker, Diane Eblin, Maria Liberati, Lauren DeSantis, Laurie Bell, and Jim Benson. While in Delaplane filming some live music for Virginia Wine TV, we stopped into the grand opening of yet another new northern Virginia winery, Capitol Vineyards. This winery is significant for two reasons. First, it is owned and operated by a pair contributing to the Youth Movement in Virginia Wines. Lauren Shrem and Matthew Noland are both in their twenties and juggle professional jobs in D.C. while starting a winery in the country. Second, the winery, like many others are contributing to retain the commonwealth's heritage. 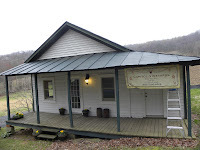 The winery itself is off the beaten path - at the ba se of Red Oak Mountain along a gravel road off Route 55, but like many other less traveled roads, this one leads to history. Their tasting room is housed in a structure built in the 1800's that was once the home of the first black-owned Postmaster General in Virginia. Later the building was converted into a general store, but became vacant in 1950. Shrem and Noland must have needed many a weekend to renovate it into their new tasting facility and they did an outstanding job - particularly by retaining the wood counter tops and flooring. It feels like walking into history when entering. 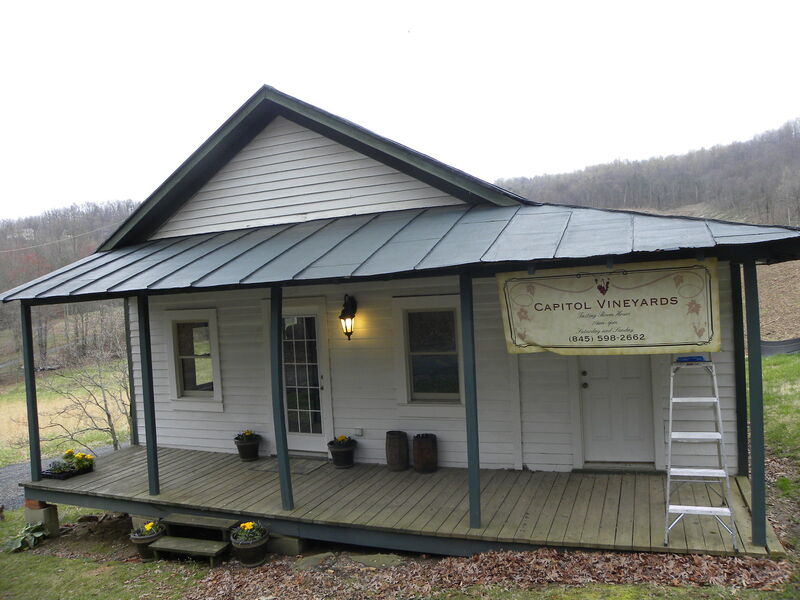 While their vines are being planted and maturing, Capital Vineyards crafts their wines with Michael Shaps at his facility south of Charlottesville. The grapes are from the Monticello AVA and are your traditional Bordeaux varieties: Merlot, Cabernet Franc, and Cabernet Sauvignon. While bottling single varietals of each of these, they also blend a Meritage. And for white wine they produce a Traminette - a hybrid that doesn't get enough love. In fact, this was probably my favorite, as it exhibited the aroma and flavor of a dry Gewürztraminer (one of its parents). Eventually Shrem and Noland plan on opening a Bed and Breakfast on the property making this a unique weekend destination. For now though, put Capital Vineyards on your list of northern Virginia wine destinations. Last week we were invited to two wine tasting events scheduled for the same day, the 2011 Les AOC du Languedoc Ambassador Tour and Drink Ribera. Drink Spain. These two wine regions may be in two different countries, but are not terribly far apart. Yet the wines crafted in each region differ remarkably. Languedoc is located in the south of France adjacent to the Mediterranean sea. Wine has been produced in the region for two and a half millenia - starting with the Greeks, then the Phoenicians and Romans. In fact, the Roman historian Titus Livius was lauding "wines of light" from Limoux two thousand years ago. And sparkling wines from Limoux were the first wines we had tasting from the region. Based on the Mauzac grape, these are some of the best sparklers w e have ever tasted. Getting back to Languedoc, the region is divided into many AOCs, with almost a dozen represented on the Ambassador Tour. And as expected, the wines differ by AOC because of terrior and the grapes planted. Besides some indigenous grapes, the most popular grape varieties are Rhone varieties: Syrah, Cinsault, Carignan, Grenache, and Mourvedre for reds and Rousanne, Grenache Blamc, Marsanne, and Muscat for whites. 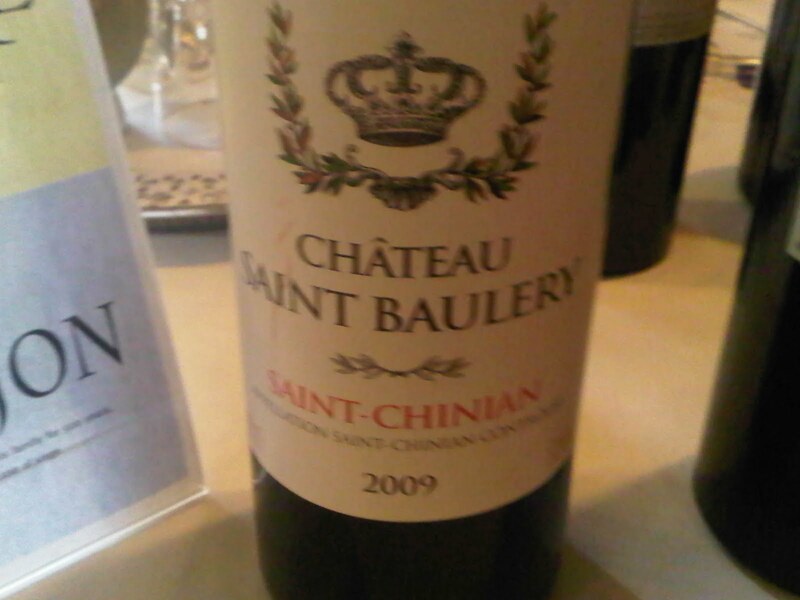 Not too surpising since Languedoc and Rhone border each other. The Ambassador Tour was comprised of 31 wines selected in a blind tasting by American panelists from over 120 wines submitted. Most of the wines should retail between $15 and $25, although there were a few higher end wines that were priced closer to Grand Cru Bordeaux. And almost all the wines were were made from hand picked grapes, grown in small lots, using organic farming practices, and by family estates that span generations. The best part of the tasting was listening to the winemakers or their representatives discuss their passion for wines made in the region. The region's history, the AOCs, the grapes, food pairings - all contributed to fabulous discussions. The region's popular wine grape, Carignan, has the second largest planting in France. Can you guess the first? The traditional method of sparkling wine production, "méthode champenoise", where the bubbles are produced by a second fermentation in the bottles, may have originated in Limoux before it was utilized in Champagne. The La Clape AOC was once an island - now connected to the mainland by the runoff of sediment. And the Château des Karantes Grand Crus Rose and Rouge from La Clape are quite good. These wines as well as the Château des Karantes Blanc, based on Bourboulenc grape, are available locally at Cobblestone Cellars. The vines used by the Domaine la Croix Chaptal, a small winery in the Terrasses du Larzac - an AOC, have been tended by Monks for over 12 centuries. The vines were ravished by the Phylloxera epidemic almost 150 years ago; thank God for American rootstock. The present owners restored the original cellar from the Abbey and are now making very good wine - as evident by the Les Terrasses Rouge and Cuvee Charles - each differing blends of Grenache, Syrah, and Carignan. Château la Dournie is owned and operated by one of the oldest families in the region - going back almost 140 years of continual production. What's even more interesting is that the gender relationships are reversed and the winemaking has been handed down from mother to daughter for 6 generations, with the males acting as hunters and gatherers. Oh yea, there Syrah based wines are quite good. The oldest continually owned property was Château du Donjon, which has stayed in the same family for 500 years. For Americans, this length of time is unimaginable. When Columbus was sailing the seas, this family was plowing the same soil they do today. And not to be outdone, wine has been made at the estate of Chateau de Lancyre going back to 1550. These wines as well as the highly recommended Château Saint Baulery Rouge are available from Hand Picked Selections out of Warrenton VA.
Organic farming -Agriculture Biologique (AB) - was proudly on display at Gilles Louvet Vineyards. They are the largest AB producer in France and the second largest in Europe. What differs from most organic wines made in the States is the price, $15 for the Vignobles Gilles Louvet Rouge. This blend of Syrah, Grenache, and Carignan is not only excellent but priced in our ballpark. Their Esprit de Sud is a sparkling wine from the Blanquette de Limoux that also fits our budget. A perfect expression of Languedoc sparklers - dry, aromatic, and flavorful. Still wines are also crafted in Limoux by the Château Rives Blanques using Chenin Blanc, Chardonnay and Mauzac. Whereas they produce 100% varietal wines from the first two grapes, my favorite was the La Trilogie a blend of the three with 50% Mauzac. The most interesting white wine was the Domaine Félines Jourdan Blanc made from 100% Piquepoul in the Picpoul de Pinet AOC. I know, Piquepoul - never heard of that grape - but it makes a good wine in this case. And the one person you would want to spend time with the most is the unofficial Ambassador for the Languedoc region, Gerard Bertrand. Besides making excellent wines, he's a professional rugby player. 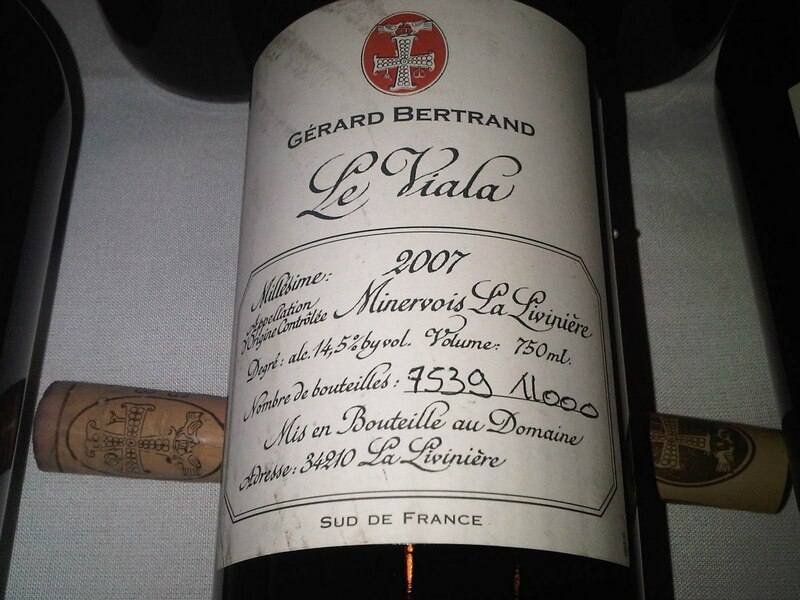 Most of his wines are made in Corbières but he owns or sources from vineyards in other AOCs including Monervois la Liviniere - the source for the Gerard Bertrand La Viala Rouge. 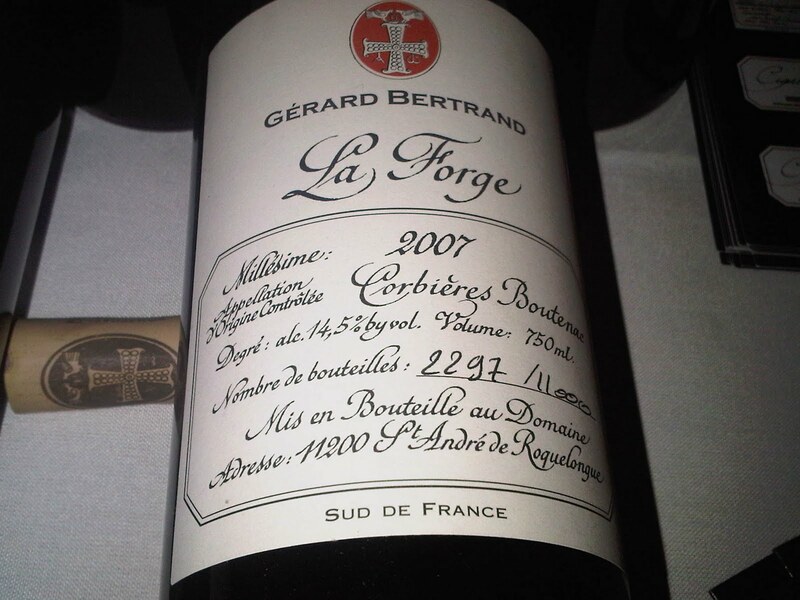 Along with the Gerard Bertrand La Forge Rouge from Corbières Boutenac, these wines are made from old, low yield vines. The La Viala is a blend of Syrah, Grenache, and Carignan whereas the La Forge is a 50/50 blend of Carignan and Syrah. Interestingly we learned that Carignan is the second largest planting in France. Can you guess the first? These wines are outstanding, full bodied - balanced between tannins and acidity. And they are priced for the quality - $75. There you have it, a short guide to Languedoc. No longer just a source for sparkling wine; this region will provide us with plenty of excellent red and white still wines. 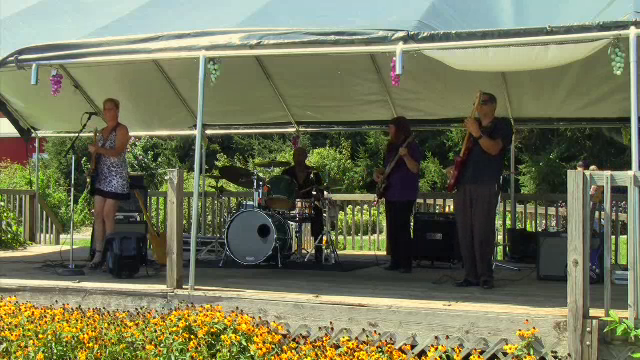 This past Saturday we visited three Virginia wineries that host live music for a feature on Virginia Wine TV. We've been to wineries when they hosted live music before, but like many clubs, the music was an added attraction to a social engagement. Today we focused entirely on the music and really appreciated the talent of these musicians. The videos are available at the MyJoogTV YouTube channel and this week at MyJoogTV. The day started at Delaplane Cellars where Gary Smallwood was performing. Smallwood combines a clear acoustic picking with a soulful voice. 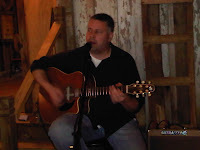 After a few songs we had to move on, and the next stop was Aspen Dale Winery at the Barn, which had booked Mike Bowers. And Bowers was the biggest surprise. The background noise is atrocious, bu t listen to his voice in these videos. Unbelievable. 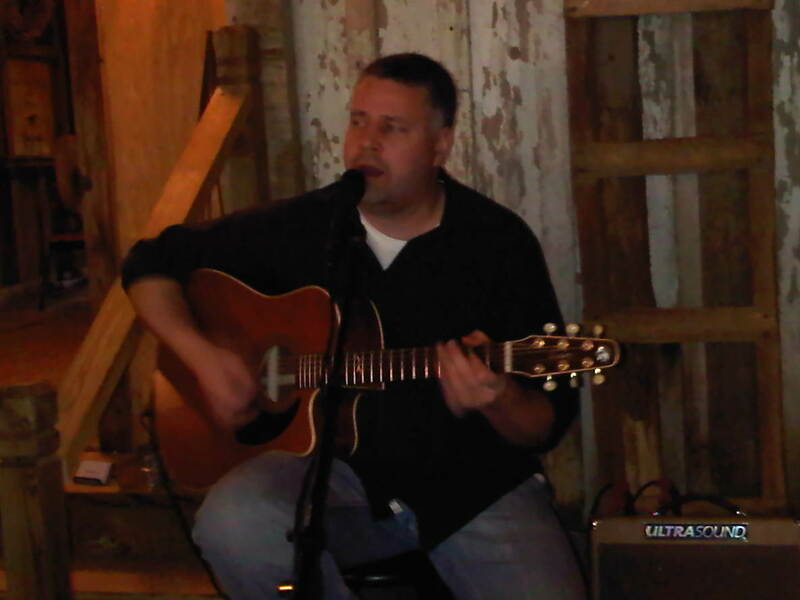 And like Smallwood, Bowers regularly performs at several Virginia wineries. There is no excuse not seeing him. 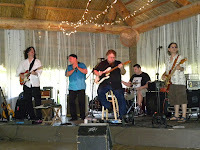 The final stop was at Quattro Goomba’s Winery where Andre Fox was playing the "party" room. Fox is more engaging with the audience and had groups of people dancing around the fermenting tanks. Besides being charismatic, Fox has another beautiful soulful voice, from Percy Sledge to Otis Redding. You get the idea. 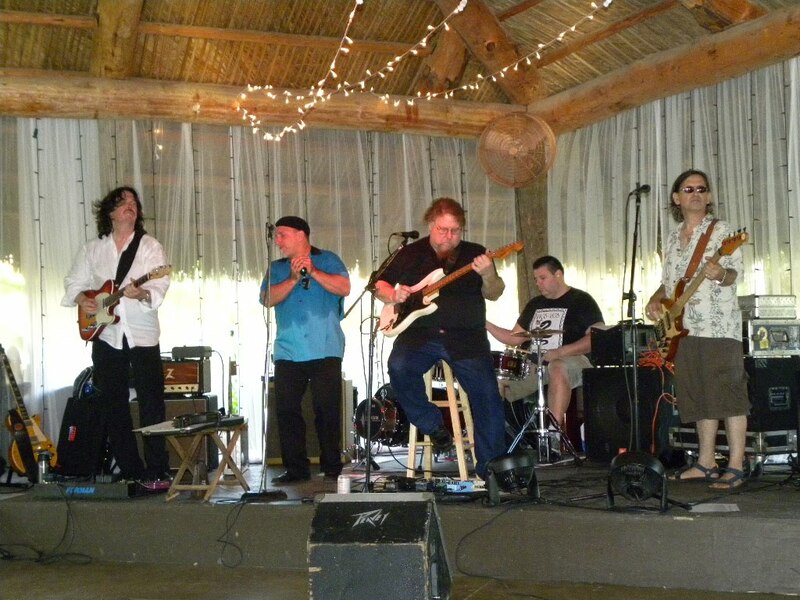 As you can hear, another reason to visit your local winery - support local music. As the weather warms, it's time for our annual sermon on hidden gems that host live music - our ever expanding collection of wineries. Farm wineries are unique in that they perform three different types of economic activity. They are agricultural entities, growing and harvesting grapes and other fruit. They engage in manufacturing by turning the juice from these fruit into wine and bottling the fermented beverage. And finally, farm wineries participate in the service economy, by hosting events in their tasting rooms in order to attract consumers. And it seems one of the most popular events is hosting live music. The style and facilities differ among region and winery. Some may offer local musicians; other regional artists or national touring acts. 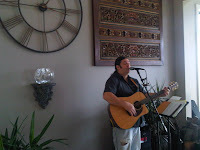 Right here in Northern Virginia it se ems that almost every winery in Loudoun County and along the Route 66 corridor provide regular live music. Last year we filmed our inaugural episode of MyJoogTV at the summer concert series at Tarara Vineyard & Winery and filmed more sessions at three other wineries that host local and regional acts: Adams County Winery, Black Ankle Vineyards, and Veritas Vineyards. But basically, for those living near Washington D.C. and Baltimore, there is a plethora of musical opportunities within a short drive in Maryland, Virginia, and Pennsylvania. This phenomenon is not limited to the Mid-Atlantic. Wineries exist in every state of this country, and the same holds for live music hosted at these establishments. Some are full fledged concert halls such as Mountain Winery or Wente Vineyards in California. Others, such as Pend d'Oreille Winery, La Vina Winery, Schnebly Redland's Winery, and McLaughlin Vineyards may seem remote - but they provide plenty of music. And as expected, wineries near music meccas like Nashville and Austin, leverage those musical communities. Check out Arrington Vineyards, Pedernales Cellars, and Landon Winery as examples. We and the wineries are constantly adding these events to the Wine-Compass and MyJoog event listings - with the later providing more information on the musicians. Regardless on how you find these events; go out and support local wine and local music. That's a great combination. 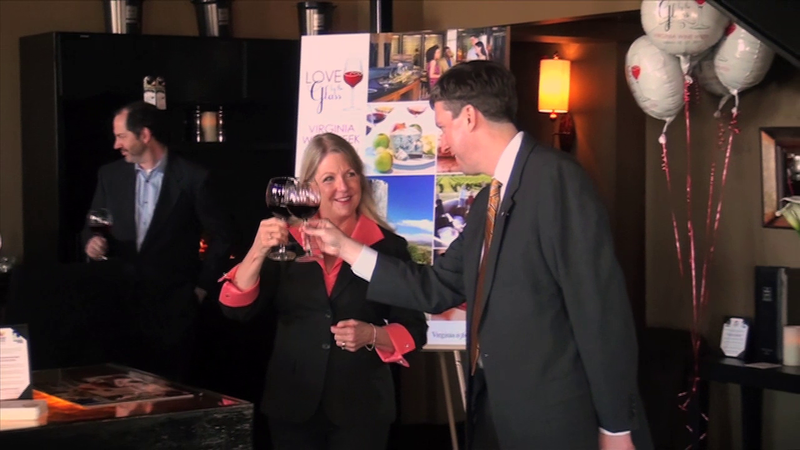 This episode features First Lady Maureen McDonnell and several media guests at a Kickoff Celebration for the 2nd Annual Virginia Wine Week at The Wine Loft in Glen Allen Virginia. Virginia Wine Week is a government imitative to encourage retailers, restaurants, and consumers to support Virginia wine, obviously by selling and purchasing the many excellent wines crafted in the commonwealth. The music is provided by Charlottesville based Sons of Bill; if you like Americana - Rock, then you will like this band. You never know when the opportunity presents itself to learn more about wine. A month ago, while in Las Vegas, I asked our Peruvian driver about wines in his country. Fifteen minutes later I was a certified expert on the Peruvian national spirit, Pisco, and its companion drink the Pisco Sour. When the Spaniards conquered South American, they carried with them Quebranta grape vines and found a suitable climate to plant these in the Ica Valley. Eventually, the recently fermented grape juice or musts from these grapes were distilled into a clear brandy: Pisco. The name “Pisco” most likely derives from the port city of Pisco, 250 km south of Lima. · Pure: distilled only from Quebranta grapes. Other non-aromatic varieties are officially accepted (non-aromatic Normal Black and the Mollar), but our driver warned, only Pisco from Quebranta grapes can be called Pure. It’s easy to see why the Quebranta grape is beloved by the Peruvian people. Its vine is so hardy that, today, the stocks are used as graft bearers for other grape varieties. · Aromatic: distilled from aromatic grapes derived from the family of muscatels. · Acholado: results from the distillation of musts of different grape varieties. Our driver also warned us about Piscos made from outside of Peru. He informed us of five main features which distinguish true Peruvian Pisco from those distilled outside the country. For this list, he recommended an article in which I am quoting directly: “Peruvian Gastronomy - The Pisco - Differences between Pisco and other grape “aguardientes” made outside Peru” made available by the Peruvian Embassy. 1. The grape variety: One of the most important differences between the genuine Pisco and foreign aguardientes is that the grape used for its preparation –artisan and industrial- is not limited to the aromatic grape “Moscatel”. Actually, the emphasis is put on the flavor or in the aroma. This is why the most common grape types are “Quebranta” (a typically Peruvian mutation) and, in less percentage, the Normal Black and the Mollar, which are non-aromatic varieties. 2. Non-rectification of steams: The distillation process used for preparing Pisco is carried out in distilleries or small stills of non-continuous operation, not in continuous distilleries. Thus, the constituting elements of the genuine Pisco will not be removed at the time of rectifying steams produced at its distillation. 3. Time between fermentation of musts and distillation process: According to the definition of Pisco, this beverage is obtained from the distillation of recently fermented “fresh” musts. This type of process avoids recently fermented musts to remain stagnant for several months before being distilled or used for mature wines. Nowadays, distilleries for preparing Pisco should meet the requirements required by the Committee of Supervision of Technical Regulations, Metrology, Quality Control and Tariff restrictions of the National Institute for the Protection of Intellectual Property and Free Competition (INDECOPI). 4. No aggregate is included: In Peru, the distillation process is not suspended until obtaining the alcoholic Pisco at levels of 42° - 43° degrees Gay-Lusac. No distilled or treated water is added with the purpose of changing its consistency, color and other features that make it a distinctive product. 5. Process to obtain the established alcoholic content: When distillation of fresh musts starts, the alcoholic contents of the distilled product is high, reaching 75° degrees Gay-Lusac approximately. As the process continues, the alcoholic content decreases, thus, allowing other constituting elements of Pisco to make up the brandy. According to the skills and tradition of the Peruvian “pisquero”, this process lasts until the alcoholic content decreases to about 42° or 43°, sometimes decreasing to 38° degrees Gay-Lusac. They obviously take their Pisco seriously in Peru. In fact, our trip to Las Vegas coincided with a special Peruvian holiday, National Pisco Sour day, which occurs annually the first Saturday in February. So, the moral of this article is to engage your driver in a conversation on drinks from their homeland and to raise a glass to a Pisco Sour. You will not be disappointed. Below is a simple recipe.